Our virtual boreholes save our clients up to 90% of costs. 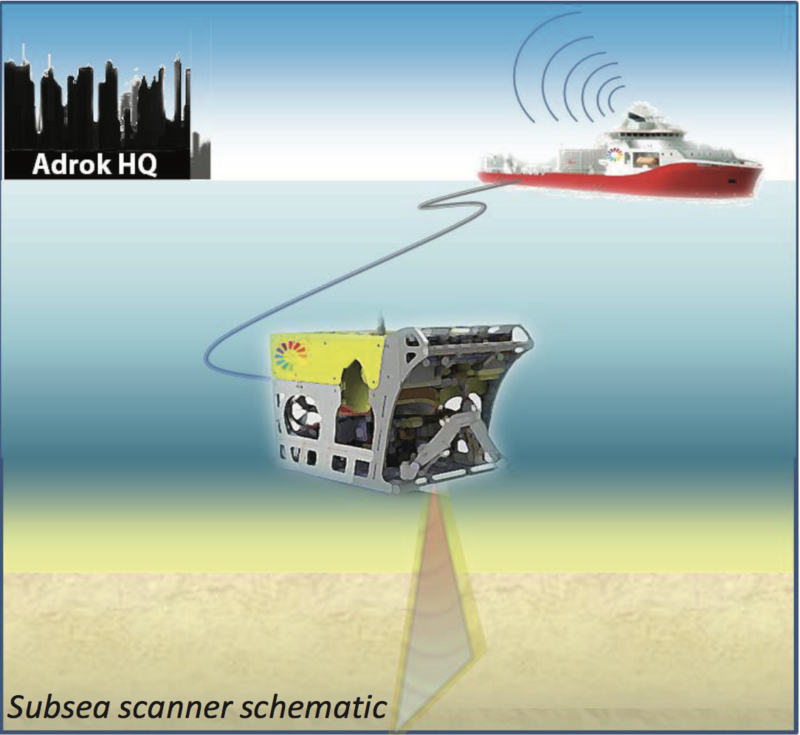 The Adrok Subsea scanner is deployed from an ROV and is controlled remotely from the survey vessel. This allows the survey team to perform data acquisition and obtain other ROV and survey data. Once all data has been collected it is transferred to and processed at Adrok’s headquarters in Edinburgh, Scotland. The data is processed using our own patented software and our findings are presented in detailed reports. Finally, our data is provided to our clients for integration into their datasets.